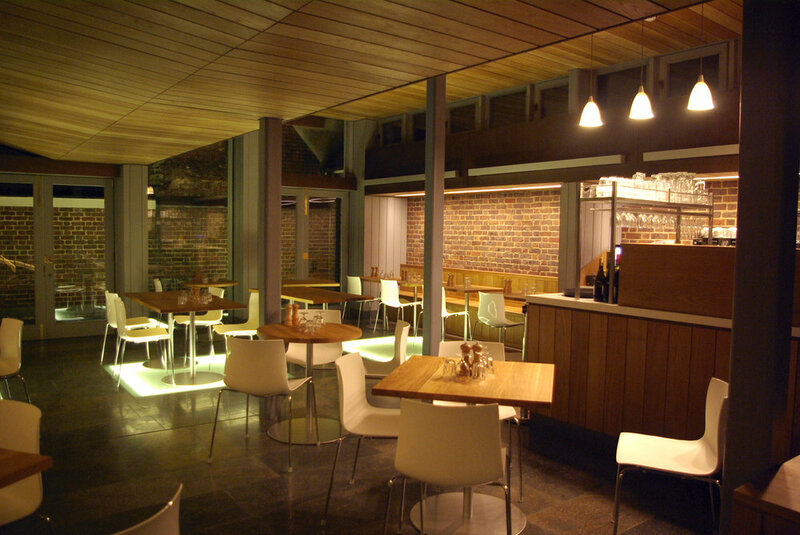 The Cellarium Café (catering facilities, toilets and a shop) were developed for Westminster Abbey in the old domestic quarters of the Benedictine monks by Panter Hudspith Architects. KSLD designed a sensitively integrated energy efficient lighting for the 'Cellarium Cafe and Miserichorde Terrace’. The warm and welcoming lighting scheme offers a range of scenes for functions during the day and evening, has simple and localised control and utilises high efficiency LEDs and fluorescent lamps in a range of custom and standard light fittings. The Cellarium posed the biggest design challenge due to the historic fabric of the building which had to remain, excluding the floor and existing lighting locations, untouched. The solution included a custom LED chandelier and floor mounted column light.The chandelier design is simple in form and reminiscent of a period candle chandelier. Each candle holds two LEDs in a custom opal diffuser providing both uplighting to the ceiling and general lighting to the cafe tables below. The column lights provide low level ambient lighting and adjustable LED accent lighting to each rib of the original vaulted ceiling. Careful coordination with the design team enabled us to anchor the column lights within the peripheral services trenches creating minimalist design detail and allowing us to also offer power and data points in the base of each column. All luminaire finishes were matched to the bronze detailing which the architects used throughout the project. 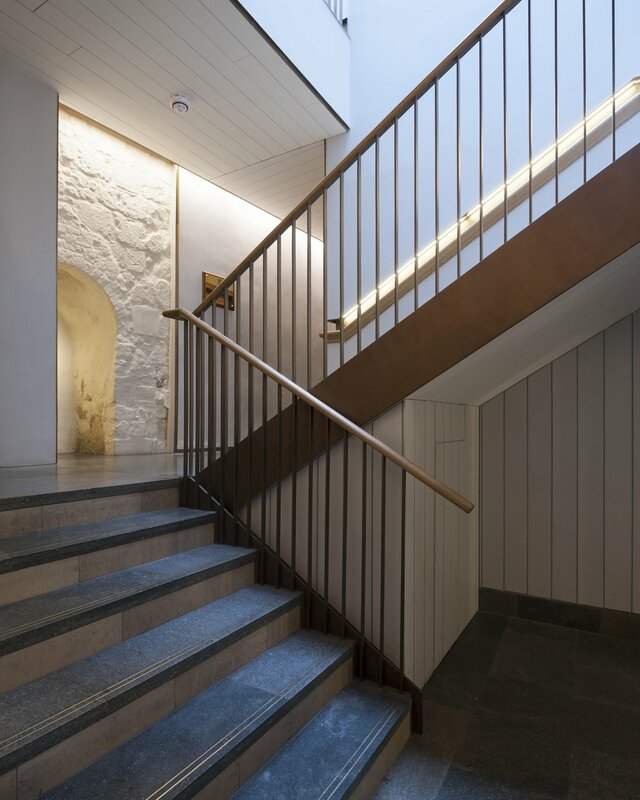 The circulation and Miserichorde Terrace lighting is kept discreetly integrated and used to highlight architectural features such as the exposed stone walls of the interior passages and the timber ceilings of the modern first floor extension. Cellarium Café (catering facilities, toilets and a shop) were developed for Westminster Abbey in the old domestic quarters of the Benedictine monks by Panter Hudspith Architects. KSLD designed a sensitively integrated energy efficient lighting for the 'Cellarium Cafe and Miserichorde Terrace’. The warm and welcoming lighting scheme offers a range of scenes for functions during the day and evening, has simple and localised control and utilises high efficiency LEDs and fluorescent lamps in a range of custom and standard light fittings.